Thank you for your interest in bringing your next business meeting, convention, trade show or reunion to Valley Forge. By filling out the form below, your RFP will be distributed to our vast network of partner organizations who can help ensure your event is a success. You can earn a complimentary welcome reception for your event. Just fill out our online RFP form and book your meeting of 200 or more room nights at one of our hotels to take advantage of our promotion. Some restrictions apply. See our official terms and conditions below. 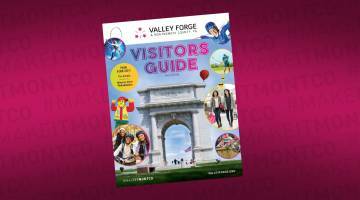 We look forward to working with you to ensure a successful event in Valley Forge. You currently do not have any meeting facilities selected. You are able to search for facilities to include with your rfp submission. To start your search click here.